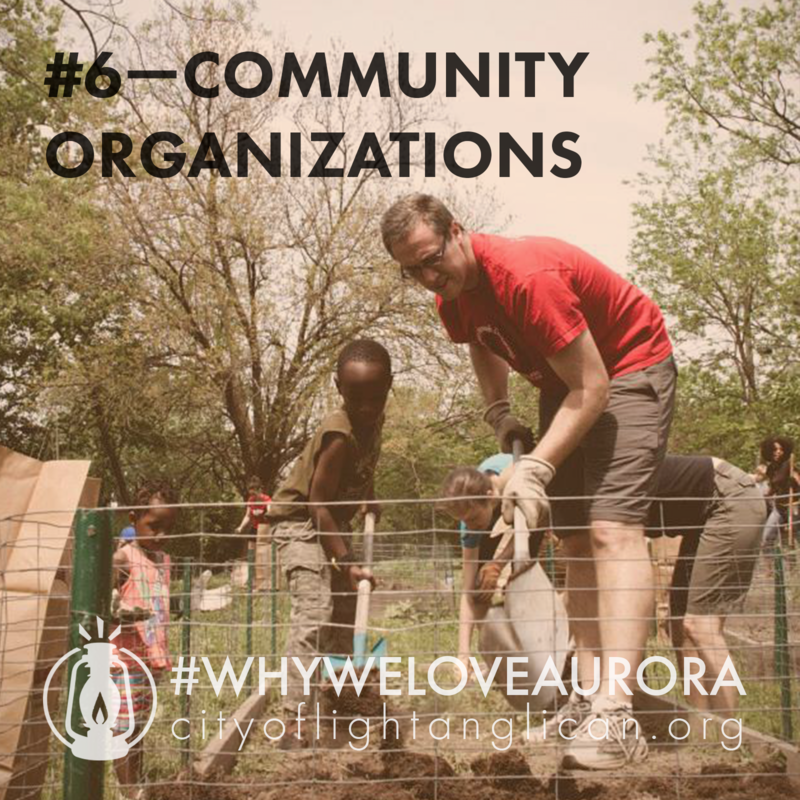 As we prepared to launch weekly services at City of Light on October 18, 2015, we counted down to our Grand Opening with 10 reasons why we love Aurora. We are so excited to be a part of a city full of people to meet, places to explore, and opportunities to shine the light of Jesus. 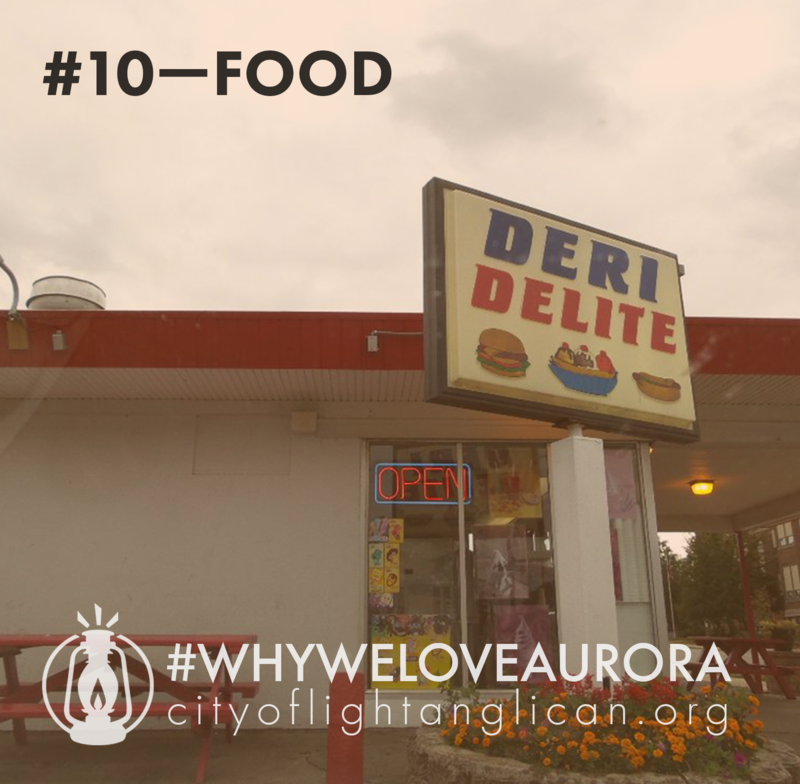 #WhyWeLoveAurora # 10. The Food - From the best taquerias in the midwest and popup tents everywhere, to pubs like Two Brothers Roundhouse and Ballydoyle, to unique eateries like Pie Boss and Jake's Bagels, Aurora's food can't be beat! And don't even get us started on popular ice cream stands like Deri Delite and Banana Split, where folks come from all over town and stand in long lines just to get a hot fudge sundae on sweltering summer days. 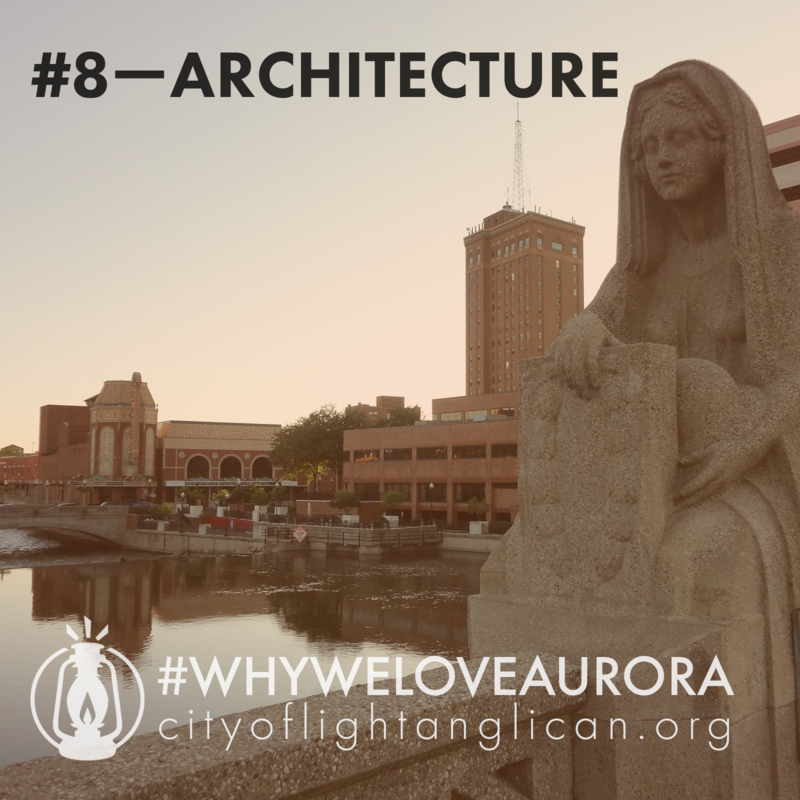 #WhyWeLoveAurora #9. 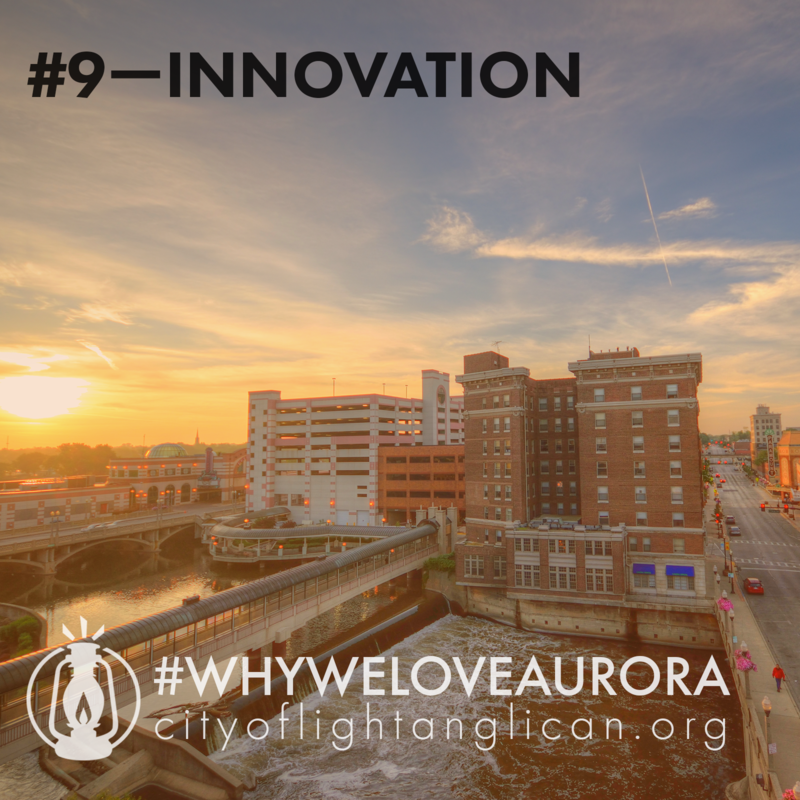 Innovation - Aurora is the City of Lights, which harkens back to being the first city in the country with all-electric street lighting in 1881. Since then Aurora has continued to lead—from important industry leaders like Caterpillar, to a heavy contribution to blues music history, to a technology leader with an underground fiber optic network connecting city organizations. 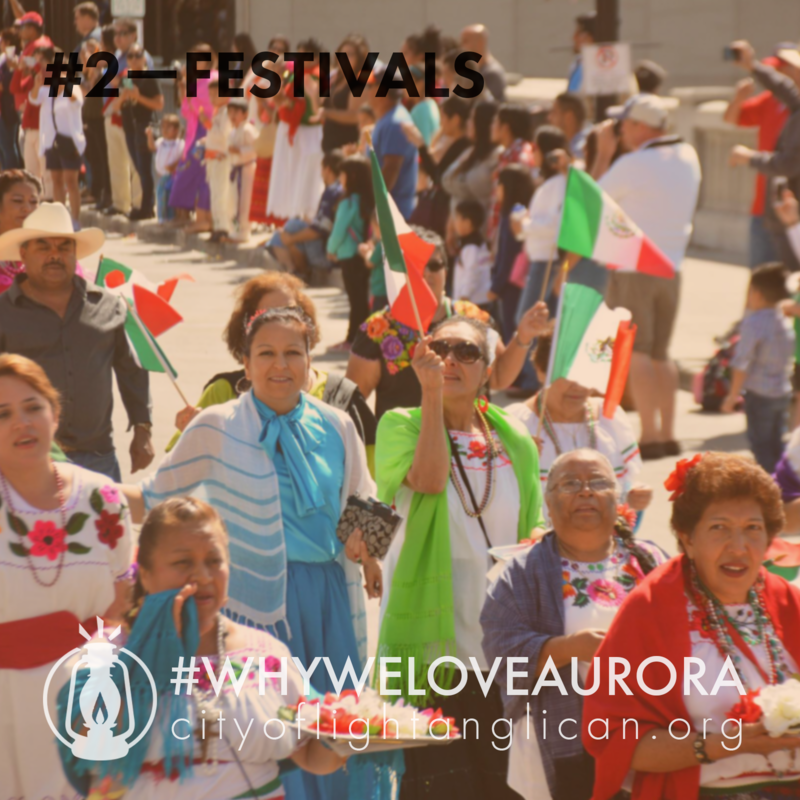 #WhyWeLoveAurora #8. Architecture - The downtown has enough historic buildings to fill a photo album (and it's worth a walking tour and history lesson to learn some fascinating stories). Then you mix in the majestic churches and restored homes throughout the city, and you'll appreciate the understated beauty that residents love and appreciate about their city. 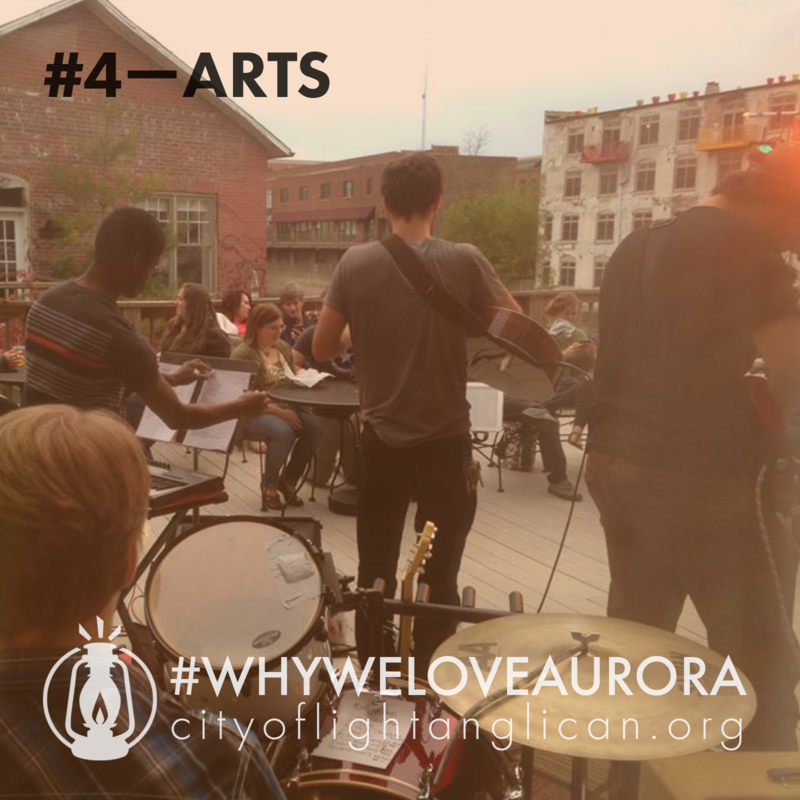 #WhyWeLoveAurora #7. 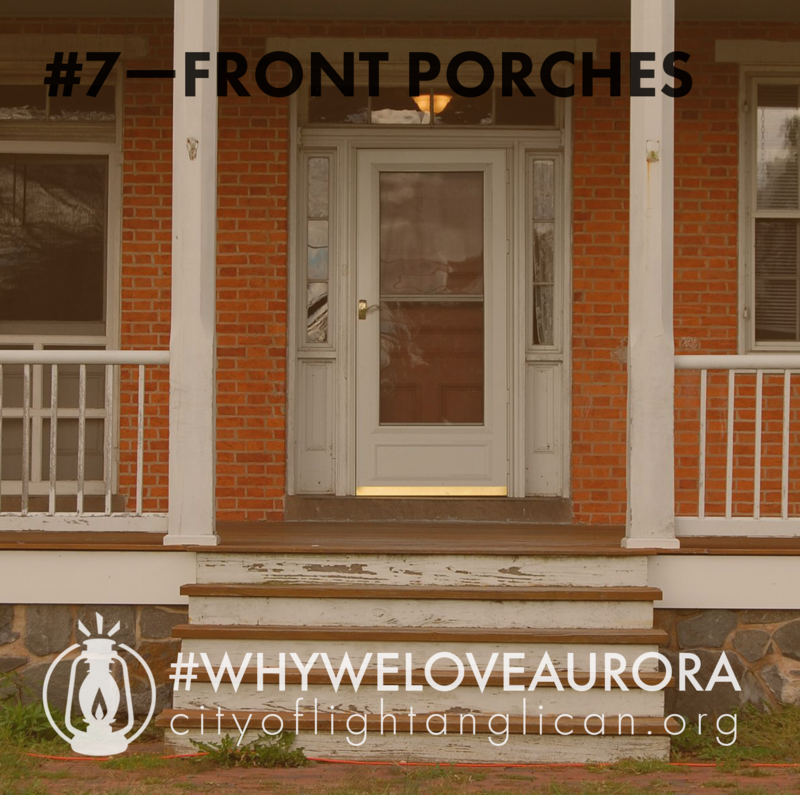 Front Porches - Aurora boasts neighborhoods full of old homes, sprawling front porches, and diverse neighbors. Take a drive through the city—all the way from the far east side to the west side—and you’ll find people that love where they live and who they live beside. Explore the west side’s Downer Street to find beautifully-restored large homes from the turn of the century. Cruise through Lehnertz Avenue in December to see the famous Christmas display that’s a 60+ year tradition. #WhyWeLoveAurora #6. Community Organizations - Nonprofits add to the character and foundation of every strong city, and Aurora has the best! You’ll see nonprofits everywhere you turn—helping kids, caring for the elderly, serving the less fortunate, improving mental and physical health for the homeless, providing needed services. Aurorans care! We encourage you to get to know a couple and serve with them! #WhyWeLoveAurora #5. 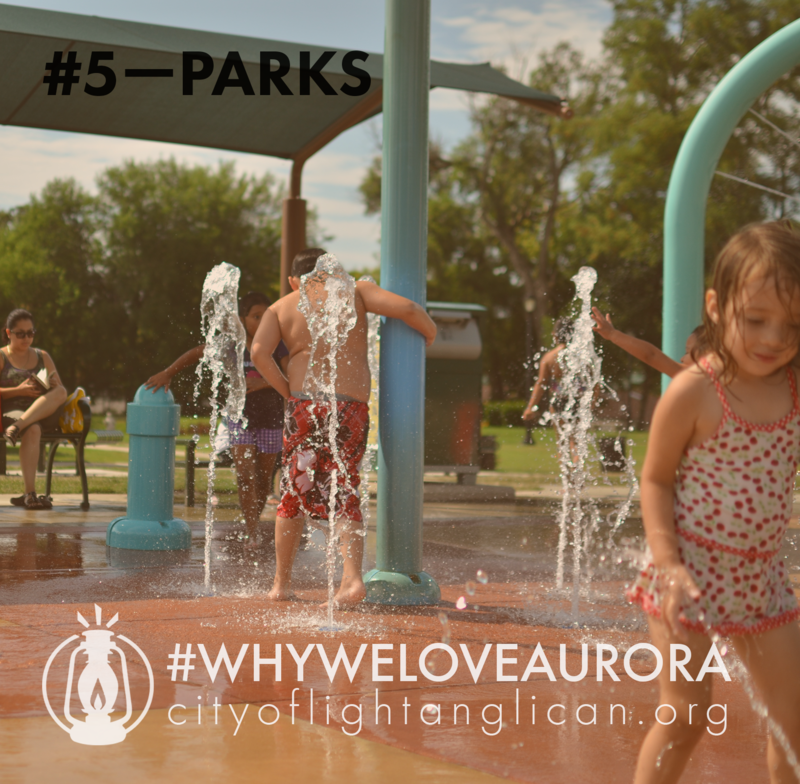 Parks - Aurora parks are a treasure! The famous Phillips Park has something for everyone—golfing, water park, zoo, sunken gardens, and, of course, the famous mastodon. McCarty Park is a can’t-miss in the summer, where you’ll see kids running through the splash pad. And there seems to be a local neighborhood park every few blocks. #WhyWeLoveAurora #3. 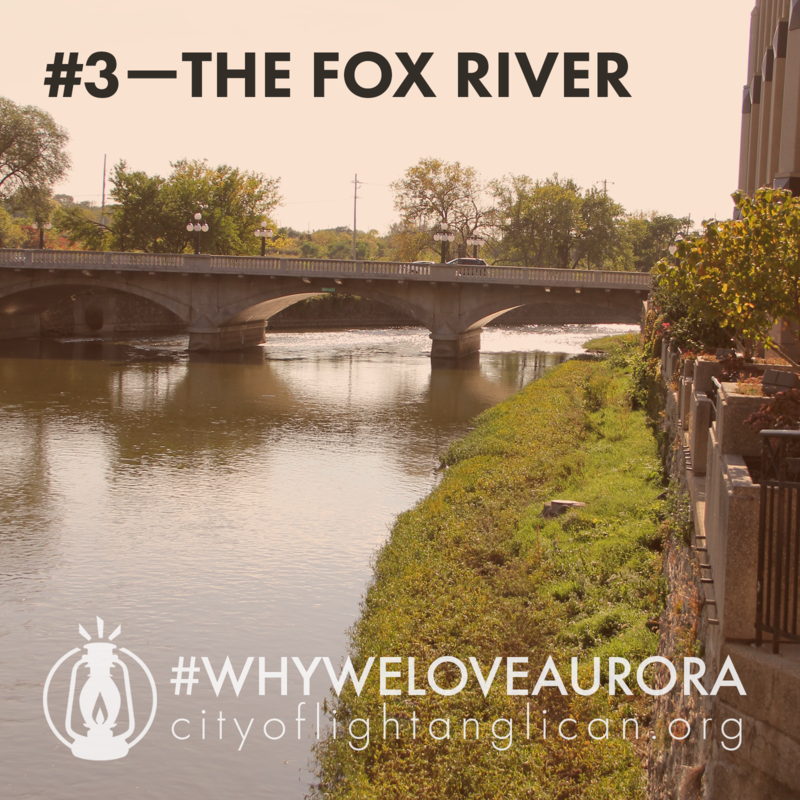 The Fox River - The mighty river that flows through our beautiful downtown offers outdoor activities like canoeing and kayaking. It also provides a wonderful view to stroll or bike along during the spring or fall or picnic beside in the summer. There are trails and parks along the way, and you can’t miss one of the new crown jewels of the city, downtown’s River Edge Park. #WhyWeLoveAurora #2. Festivals - Especially during the warmer months, there are outdoor festivals going on all the time. You’ll find festivals celebrating different heritages and people that make up our fine city. And fun parades including on Memorial Day, Fourth of July, and Labor Day. Save time in your calendar to celebrate together and rub shoulders with people from all across Aurora. #WhyWeLoveAurora # 1. 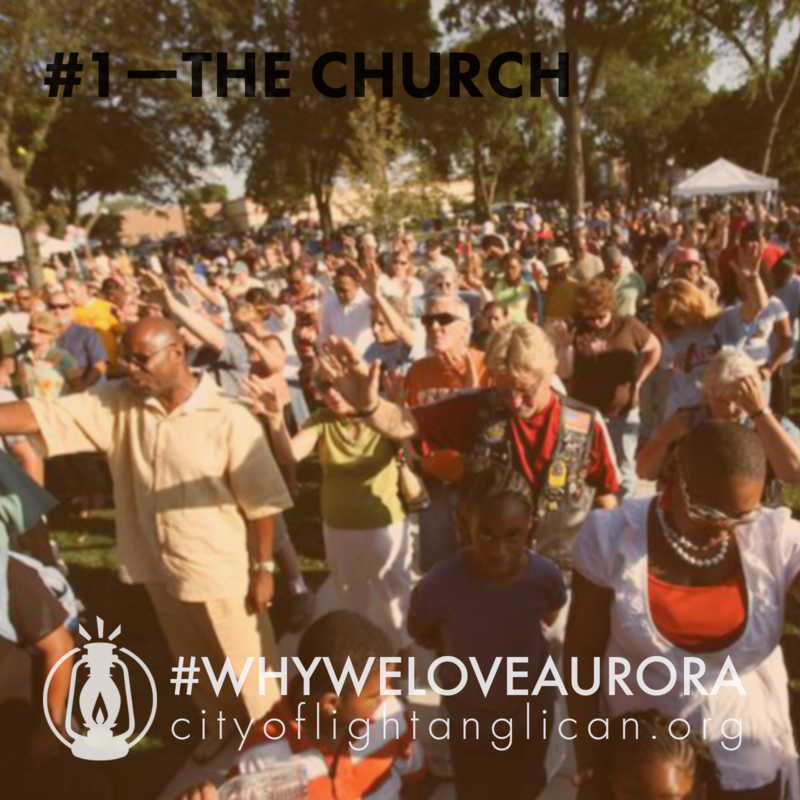 The Church - Aurora churches are welcoming, caring, and active! You will find congregations all across the city that truly love Jesus, love people, and will do whatever they can to serve the needs of the city’s residents. They take Jesus’ command to love the city seriously. They’re committed to lifting up the city’s needs in prayer, worshipping together, and working together! We’re so excited to join that!